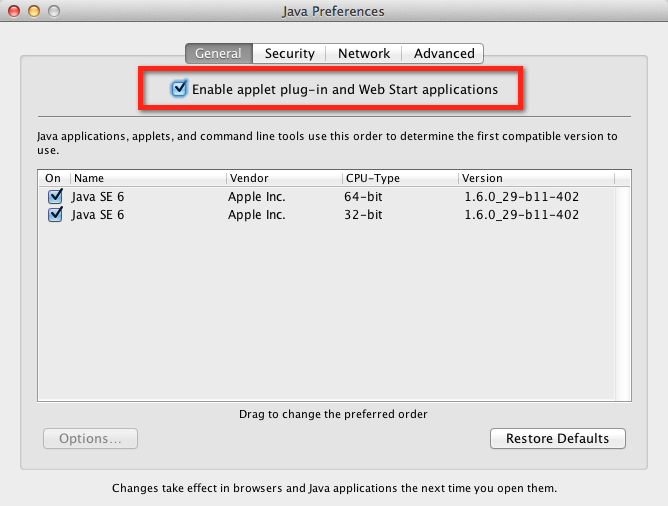 Unlike previous OS X iterations, Java does not come installed by default on Lion OS X. Instead, you need to download it and enable it. Once Java is installed, then you need to enable it. In your Applications > Utilities folder, you should find the Java Preferences.app. Double click on that, and in the ‘General’ tab, click the enable checkbox at the top (see screenshot above).